When we launched HighWire back in 1995, the Internet was transforming the way academic research content was developed, hosted and communicated. It was an exciting time. The rapidly accelerating digital era brought published content to international research communities in an instant. This was access like never before. Why look back? The very nature of the scholarly sector is about advancement. In 1995, traditionalists claimed that a shift to online would lead to the end of print journals, and in 10-15 years it did indeed do that for many basic science journals (although not for most medical journals). As a digital partner to the global publishing community, our purpose remains to help amplify knowledge and connect the best minds to the most people. Technology provides the nexus where knowledge is collected, certified, stored and shared. As such our relationships with multiple publishers afford us a perspective on new challenges faced by the sector. Plan S has invigorated the most active debate since the proposal of “ebiomed” and PubMed Central about 20 years ago. How will publishers achieve Open Access compliance? What are the main questions and concerns publishers and journals have? And what could genuine solutions be, based on what we currently know? 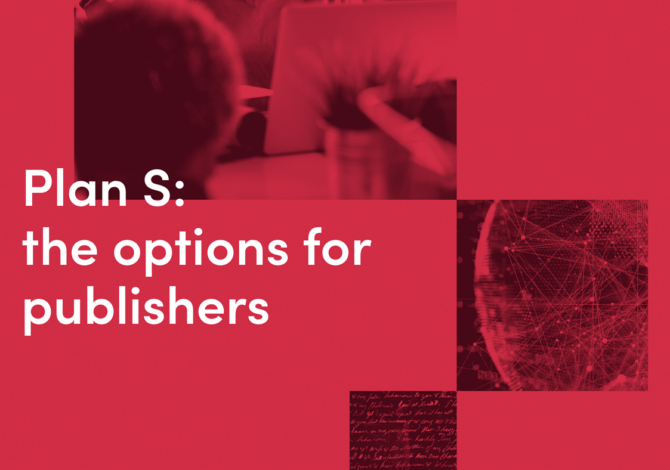 Bringing the HighWire community together over the course of 4 months, we were able to identify and explore 14 implementation options for publishers and how they could deliver against the ten principles as set out by cOAlition S. This whitepaper summarizes the findings and details the 4 most preferred options. On Wednesday 13th February we hosted a webinar for 250 people, where John Sack outlined the key outputs of the whitepaper and shared his views on the findings. You can watch a recording of the webinar here. A number of questions were asked on the webinar. Answers to these questions can be found here.